Wysox, PA (April 6, 2019) — For the fifth consecutive year, customers of Flynn Energy in Towanda, Pennsylvania showed out in droves for the company’s fifth annual customer appreciation pancake breakfast at Wysox Fire Hall. From the outside looking in, one might think the Saturday morning breakfast is just about fresh eggs, bacon, and dairy-fresh chocolate milk. It’s more about giving back to customers, raising money for local organizations, and showing gratitude for the community that keeps Flynn in business. “This is just a way for us to give back— to say thanks to our customers.” EJ Flynn said. “It gives us the chance to get out and shake their hands and let them know we really appreciate their business. 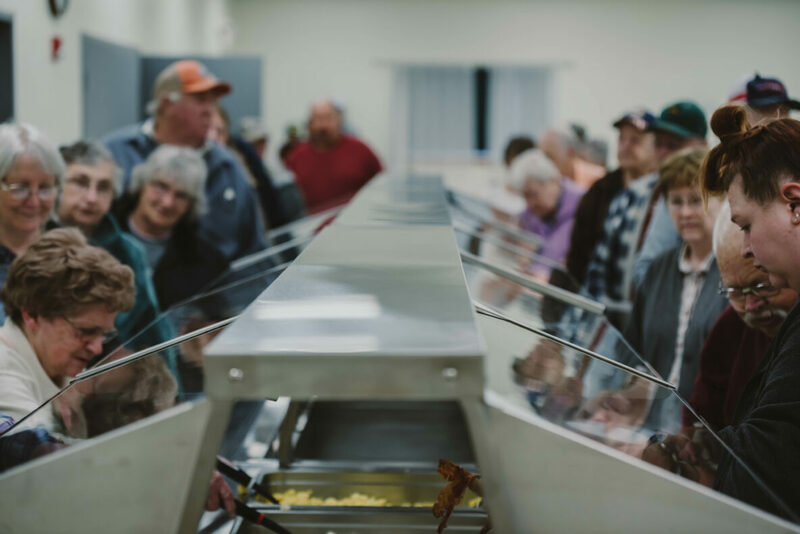 Approximately 350 customers came together for a meal served up by the Wysox Volunteer Fire Company staff. Flynn also organized a 50/50 raffle and took donations for The Children’s House Child Advocacy Center in Towanda in which 848 dollars was raised for the organization. The milk was provided by Milky Way Farms, bacon and sausage by Dotty Lou’s, and the maple syrup from Russell Maple Farms, keeping with Flynn’s local-first initiative. Wiggle 100.3 FM covered the event live on site and advertised Flynn’s annual charity golf tournament coming up on June 7th at Towanda Country Club. Last year, Flynn Energy raised more than 17 thousand dollars for local teen Mason Barto. This year’s event will raise money for Teegan Murray, a local Troy area resident suffering from Moya Moya disease. Flynn Energy is a heating oil and propane delivery company serving residential and commercial customers in Bradford County and surrounding areas. Founded by EJ Flynn in 2008, Flynn continues to focus its efforts on community involvement with various community events throughout the year including its breakfast, golf tournament, and veterans event. Please contact Ryan Scaife at r.scaife@flynnenergy1.net for media requests.